The playoffs are here, and Dev Miski's life has never been busier. As the only gay professional football player, he's in great demand for interviews and commercials, but if the Chevali Firebirds are to make it to the championship game, he'll need to play the best football of his life. I've read the previous books and this a good edition to them can't wait for the 5th! Well i love the whole series. its a gantastic love story that i can relate to on many levels. ive never dated a pro football player but i know very well how hateful and bigoted some people can be. im glad that peoples attitudes are changing but stories like this remind us that someone had to fight for the right to hold the hand of your partner in public. I'd recommend this novel to anyone interested in gay fiction, or if they enjoy anthropomorphic characters. The two lead characters are fleshed out and the narrator does a wonderful job of giving life to the original text. awsome book and series that keeps me wanting more. I would recommend this to anyone looking for hope and guidance in your life if going though love and family issues. makes me really want a 5th book. maybe we'll get one of them being married and have cubs or one where Dev wins a championship. who knows. I have liked the series so far but this latest entry was just kinda boring. This story has what you would call a Spirograph plot, meaning that it traces circles but doesn't go anywhere. The book consists of Dev and Lee having a fight then not talking about it till after the season is over, and not much else. A few minor things pop up here and there that i though might work themselves into an interesting arc, but not really they just server as little more than background noise. 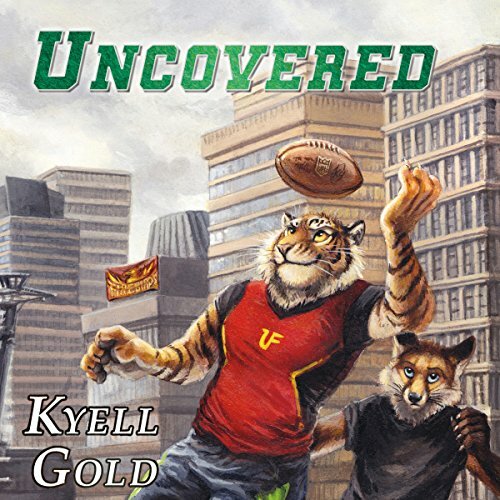 Not even sure if the series is suppose to end here or not, but if he does continue I hope Kyell can find the life that the first two entries had. In line with the other dev/lee books. Once I started I couldn't stop listening to it.